Nigel (Avening, United Kingdom) on 27 April 2010 in Cityscape & Urban and Portfolio. 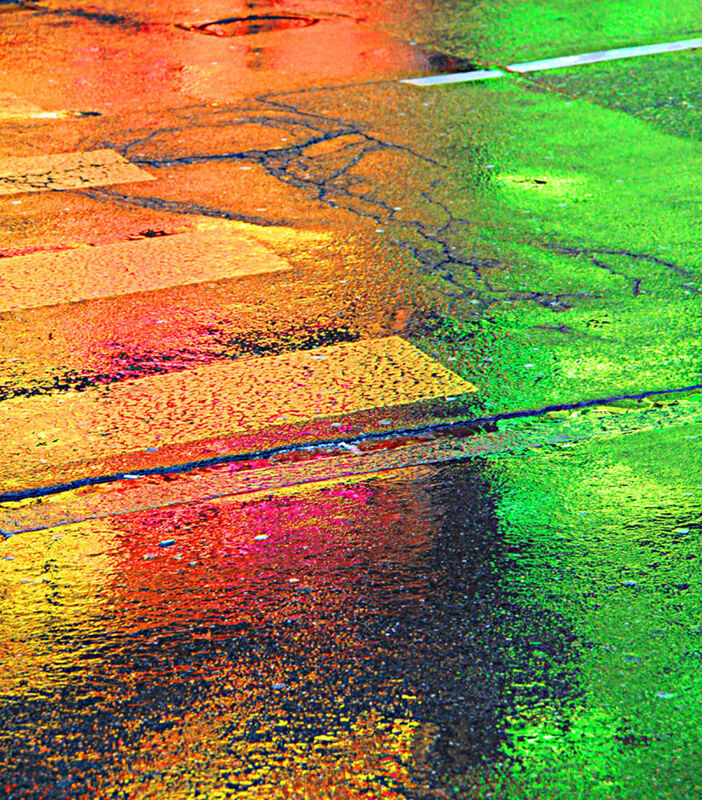 The street in Zurich immediately after rain - same street as my posts of 26th and 27th March 2010.
superbe coup d'oeil, sur ces belles lumières et couleurs. Excellent traitement qui transfigure l'avenue la plus banale! Superbes reflets des feux tricolores sur route mouillée!!! One of the very best colour pictures on show today. The bold colours and rough textures really have a lot of impact. Eye candy! That would brighten any rainy day... very cool Nigel. Great observation Nigel! Beautiful photo with those bright reflecting colors in the pavement.